We are delighted to offer a full advisory service and will happily attend your site to take sizes, dressing details and advise on Stone type or any design issue if you wish. We are also able to offer full Auto-Cad design facilities for any component parts of your masonry that require it. 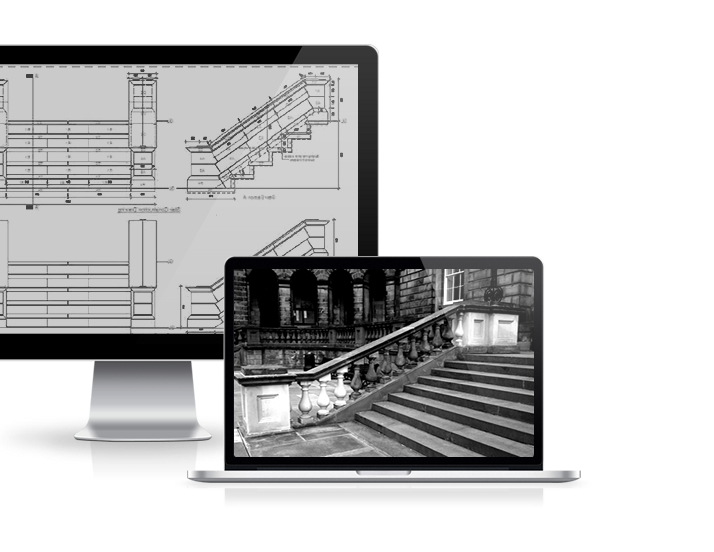 If you require extra support beyond our normal information gathering and production drawings, we will advise you of any additional cost prior to carrying out the work. We will also always point out anywhere in your plans where we feel cost savings can be made with little effect on the design and are happy to provide 2, 3, 4 or more prices together for the same project showing how costs can be reduced. With the combined knowledge of Marcus Paine, 5th generation Quarrier and Stone Supplier, Ian Black, Apprenticed and trained by English Heritage, and Dean Scott our Auto-Cad and Design specialist we have many years experience in all aspects of masonry.